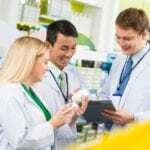 A well-trained pharmacy technician is a valuable asset to any employer. Pharmacy technician training programs prepare students to assume a central role in hospital, home health, community, and retail pharmacy environments. 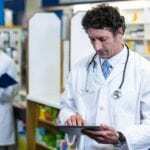 Functioning as an intermediary between doctors and pharmacists and pharmacists and patients, the technician compounds and delivers medications, maintains patient records, and manages inventory. The role requires students to be accurate, compassionate, empathetic, and responsible. Communication and math skills are also of paramount importance. 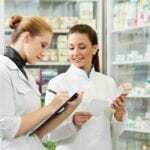 Pharmacy technicians in Florida earn an average of $30,000 to 40,000 annually depending on education and certification. The ASHP accredited pharmacy technician program at Orange County Public Schools prepares students for national certification through the PTCB or ExCPT. Students learn preparation of IV solutions, basic pharmacology, pharmaceutical abbreviations, preparation of unit dosages, pharmaceutical terminology, and measurement and calculating techniques. Students must complete 1050 hours to graduate from the program. The program is open for enrollment in the Fall, Spring, and Summer semesters. Class times are 7:45 am to 2:30 pm. Applicants must take the TABE, have a high school diploma or GED, complete a background check, provide proof of immunization, and complete a PPD test and 10-panel drug screen. Tuition for the program is $2,940. Books, supplies and fees cost an additional $1,467. Students enrolled in the pharmacy technician program at Seminole State College gain the technical skills, concepts, and clerical functions to perform the functions of a pharmacy technician under the supervision of a licensed pharmacist. Graduates are eligible to apply for the PTCB or ExCPT to become nationally certified. They may also apply for employment in drug stores, wholesale drug companies, long-term care facilities, and hospitals. Students must be eligible to enroll in the ENC 1101 class before commencing pharmacy technician courses. Applicants must complete a criminal background check and drug screen – persons convicted of a crime may not be eligible for licensure from the Board of Pharmacy. Course topics include anatomy and physiology, introduction to pharmacy technology, pharmacology, concepts in pharmacy technology, pharmaceutics and calculations, pharmacy operations, basic IV infusion, pharmacy technician applications, and pharmacy technician practicum. Students must also complete computer and internet literacy or office applications and English I to earn the 40 credits required for graduation. Tuition for the program is $1,175, Books and supplies cost an additional $2,000. The pharmacy technician program at Concorde Career Institute prepares students to become a valuable asset in hospitals, nursing homes, and long-term care facilities. The program is offered in a hybrid format with the theory classes taught online and the laboratory classes taught on campus. Interested persons must be competent in math to be able to function competently in the pharmacy practice. Course topics include introduction to pharmacy practice, pharmacology lab, compounding and aseptic techniques, pharmacology I and II, and pharmacy externship. The 692-hour program includes 180 theory hours, 192 lab hours, and 320 externship hours. Students complete the program in 24 instructional weeks and are eligible to apply for national certification. Tuition for the program is $11,195. Books and supplies cost an additional $903. The pharmacy technician program at Lake Technical College prepares students to enter the workplace as a trained pharmacy technician capable of assisting licensed pharmacists with all pharmacy operations. Graduates have the knowledge and skills to become nationally certified in the field. Students learn how to recognize and respond to emergency situations, prepare and deliver medications, and read and interpret prescriptions. Other areas of study include profession ethics and legal responsibilities, blood borne diseases, pharmaceutical chemistry, drug classification, pharmacy terminology and abbreviations, and IV compounding. The curriculum covers 1050 hours of instruction in 35 weeks. Interested persons must complete the online application, apply for financial aid, meet with a career advisor, and pay the tuition fees. Once admitted, students must complete the online orientation before the first day of class. Tuition for the program is $3024 plus expenses for books and supplies. Florida Career College’s pharmacy technician diploma program gives students a solid foundation in the fundamentals of pharmacy. The curriculum includes hands-on practice in a hospital, compounding, retail, and mail-order pharmacy. In the classroom, students will learn how state and federal laws affect practice, professionalism in a pharmacy setting, ethical issues, pharmacy terminology, IV compounding, medication therapy, and pharmaceutical calculations. The total program credits are 32.77 semester credit hours. Students must complete 760 contact hours (8 modules) in the designated 34 weeks. The clinical externship is four and a half weeks – 180 hours. Tuition for the program is $15,400. Books and supplies cost $1,406. The tuition includes the first certification exam. The pharmacy technician program at UCF lets students explore and acquire the skills to work in an entry-level position at hospital, community or mail-order pharmacies. The curriculum covers the anatomy and physiology, basic terms for medical conditions, reading and interpreting prescriptions, updating patient records, drug classes, pharmacy math, dosage calculations, and pharmacy law. Students must have internet access, email, and a web browser to access the online course. Registration for the program is $105.